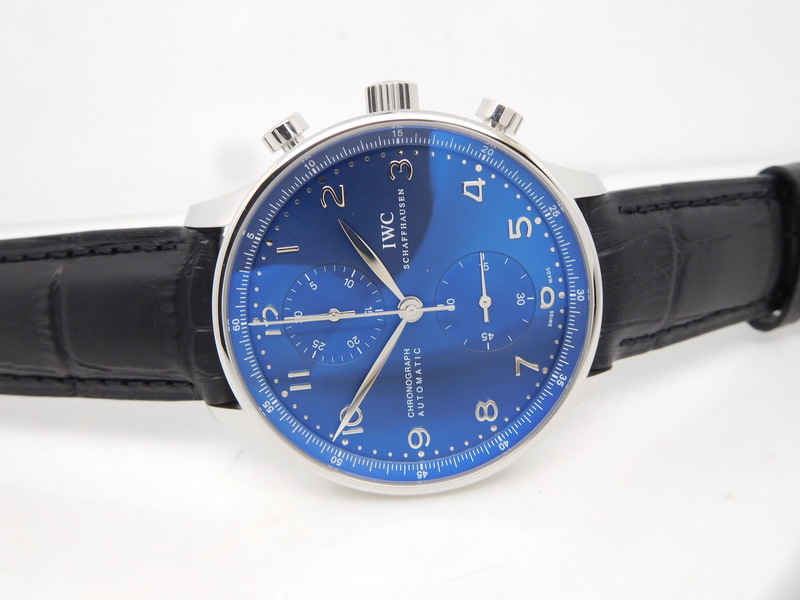 Best Replica IWC Portuguese Watch with Blue Dial Clone 79350 Movement Review – Best Swiss IWC Replica Watches Review! 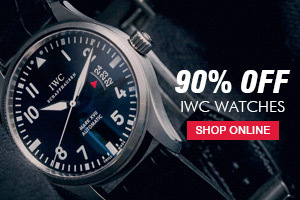 IWC Portuguese is a very famous watch and it is one of the best-selling dress watches in the world. 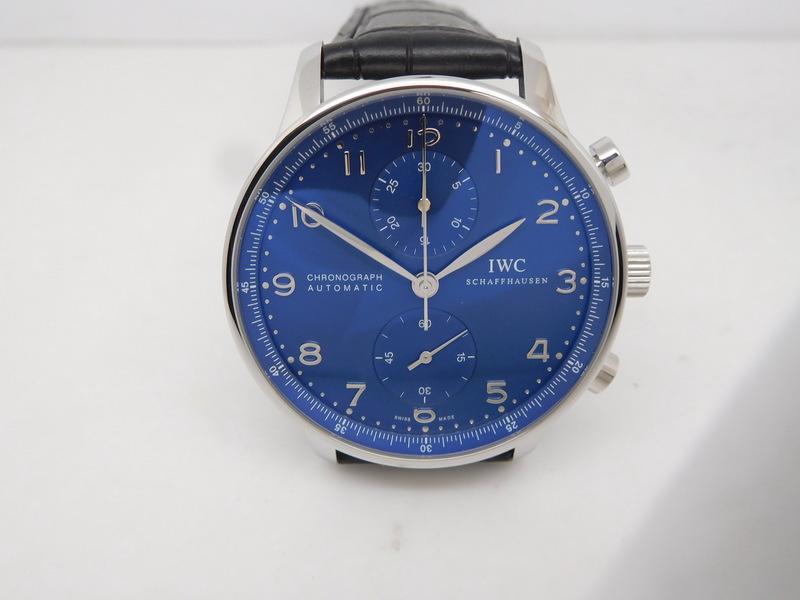 In our watch market, there are three factories at least that are manufacturing IWC Portuguese watches, ZF, YL and 3A. Among them, ZF is the biggest and most famous one. 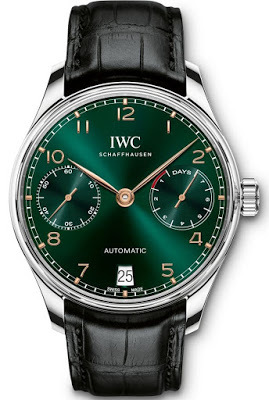 Actually ZF makes the best quality replica IWC Portuguese watch, they are also the first factory that started to clone genuine IWC Caliber. Like this replica, ZF equipped a clone 79350 movement inside, this is a great improvement, because it is the first time for a factory to use a cloned IWC Caliber in a IWC Portuguese chrono replica watch, we only saw factories used such type of movements in IWC non-chrono Portuguese. The replica is a V2 edition, the V1 uses an Asian Valjoux 7750 movement, now the V2 uses a new clone 79350 like genuine IWC Caliber. This is the biggest difference, while there are certainly other improvement made on this latest version, let’s check it carefully in the following article. The case is 40mm in diameter and made of 316L stainless steel, round bezel is very thin, so we can see a very big dial under the sapphire crystal. Whole case is brushed, including four lugs. 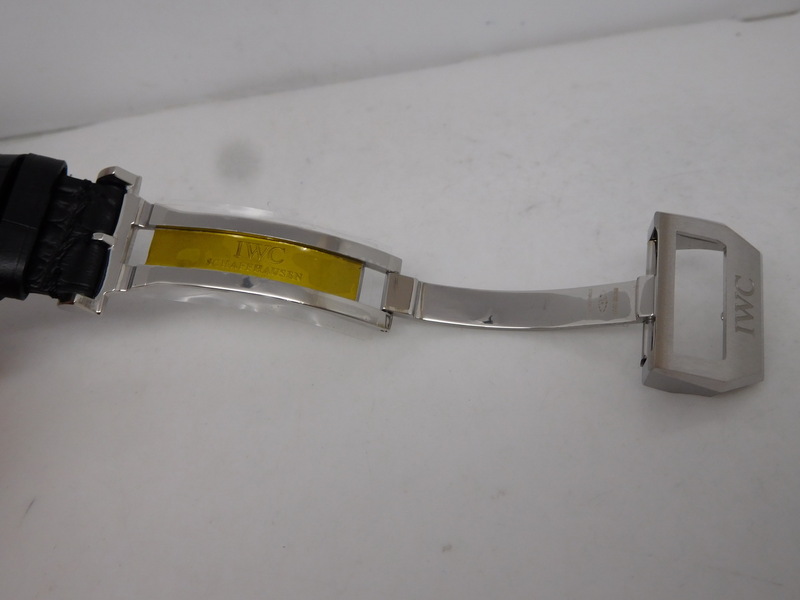 The face of bezel is also brushed while polished on edge. Like genuine, you can operate the two pushers to start or stop chronograph. Case back is locked by four screws, there are vertical brushing on the center. 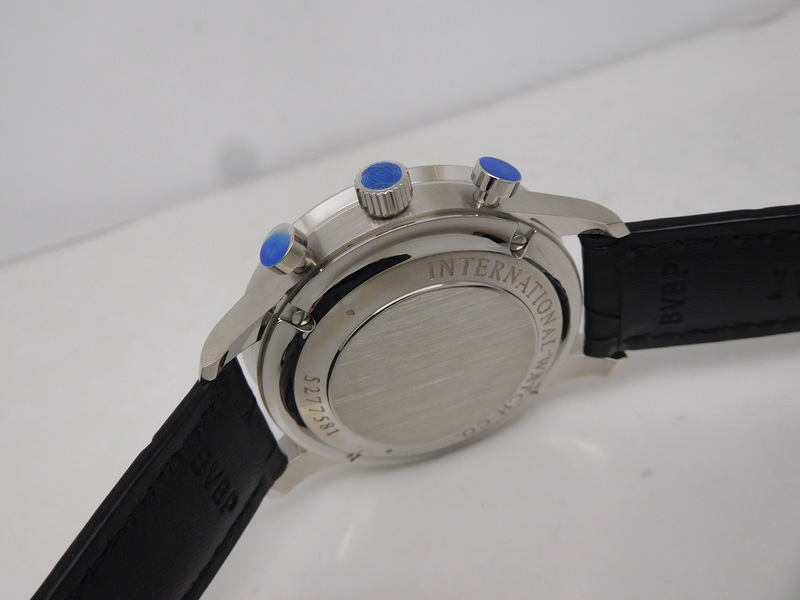 When open the case back, the inside has beautiful geneva stripes and correct engravings like genuine watch. Dial is blue. There are two small dials at 6 and 12. The subdial at 6 o’clock is displaying small seconds, while the subdial at 12 o’clock is for 30-minute chronograph. The two small dials are sunken on the main blue dial, together with the beveled inner bezel, the whole dial shows a 3D visual effect. Besides, silver Arabic numeral hour markers are also three-dimensional. The replica is a real chronograph watch because its basic movement is a valjoux 7750 chronograph movement. 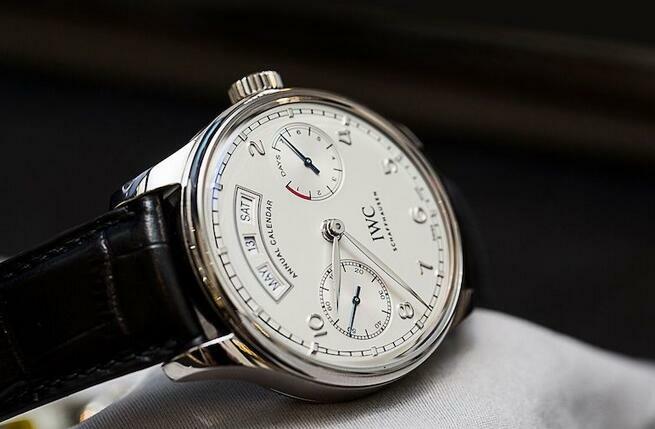 The factory modified its movement plates and auto rotor to make it look closer to genuine IWC 79350 Caliber, and they did it. 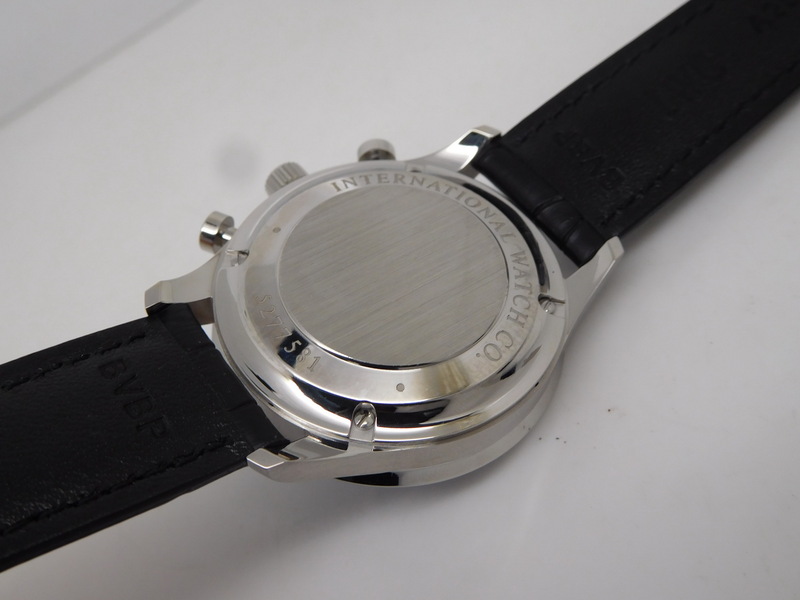 When you open the case back, you can not even tell the movement difference between the replica and genuine. So you can relax and do not worry to be spotted when wearing it among your friends. Black leather strap, plus black hand stitching, perfectly match the leisure style of the replica watch. The band is made of genuine alligator leather, it will be very durable. 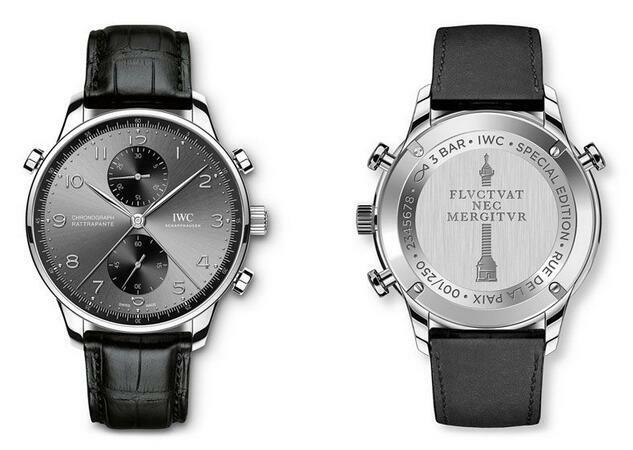 The leather band is fitted a deployant clasp, which is brushed and features “IWC” engraving. 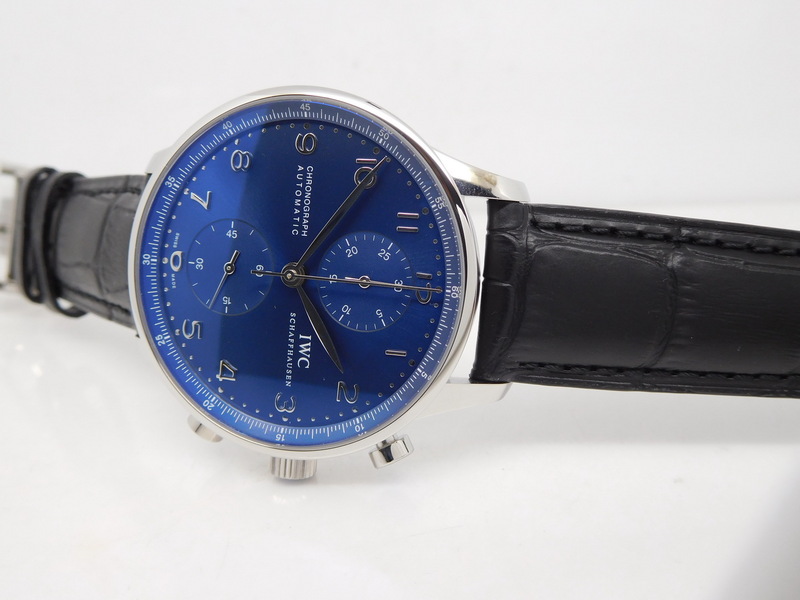 This IWC Portuguese is very necessary for men who need a watch to fit their business suits. How Mach this item and you send in Israel.? Of course, the delivery of watches.is can be delivered to the world quickly.